Since June of 1987, we have been serving the Carrollwood, Citrus Park, Town and Country, Odessa, and Lutz areas as an veterinary clinic and animal hospital. We have been recognized multiple times by both The Humane Society and Hillsborough County Animal Services for it’s excellent service and participation in low cost spay/neuter programs to help more families enjoy the companionship of pets. We treat all types of medical cases and specializes in dermatology and skin diseases. We specialize in surgical procedures including tumors, bladder stones, feline bladder syndrome, and soft tissue surgeries. Given our doctor’s background in emergency veterinary medicine, Dr. Bolos excels treating animals in emergency situations, i.e. automobile accidents, C-sections and snakebites. The local media has recognized him on several occasions for his efforts and success in treating snakebites. Doctor Bolos, our medical director and owner, has been serving the Tampa Bay Area for over 25 years and has over 40 years of experience. He graduated in the top 1% of his class from the School of Veterinary Medicine in Cairo University in 1966. Given his passion for veterinary medicine and advancement is the field, Dr. Bolos went on to earn a Ph.D in Animal Physiology and Hematology in 1980. Before moving to Florida, Dr. Bolos practiced as a emergency veterinarian in Los Angeles, California for seven successful years. He has also been active Member in the American Veterinary Medical Association since 1981. 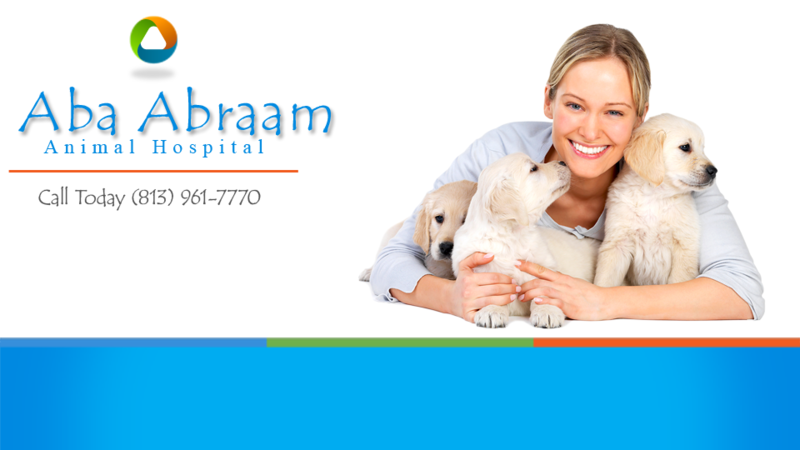 Dr. Bolos relocated to Tampa Florida and founded Abraam Animal Hospital in 1987. In order to be able to focus on his clientele, allow improved treatment for the pets and offer after-hour emergency service, Dr. Bolos combined two hospitals the original Abraam Animal Hospital from it’s old location on Anderson Road and Keystone Animal Clinic into one freestanding building with space for pets to play at 4909 Ehrlich Rd in 1999. Since then he has seen it grow into a flourishing practice where his commitment to the highest level of companion pet care, client relationships and patient education continues to attract patients from all over Tampa Bay. Because of his strong education background, extensive medical experience and insight, Dr. Bolos is frequently invited to round table discussions on new products and advances from recognized medical companies aimed at improving the care and well being of your pet. Dr. Bolos attends the annual Veterinary Conference hosted by the AVMA (American Veterinary Medical Association) to remain up to date on new techniques and advances in the field and attends several continuing educational meetings throughout the year. Dr. Bolos enjoys spending time with his wife, family and grand kids. He is also an active member and volunteer at his church. In his spare time, his hobbies are art painting, backgammon, chess and reading.